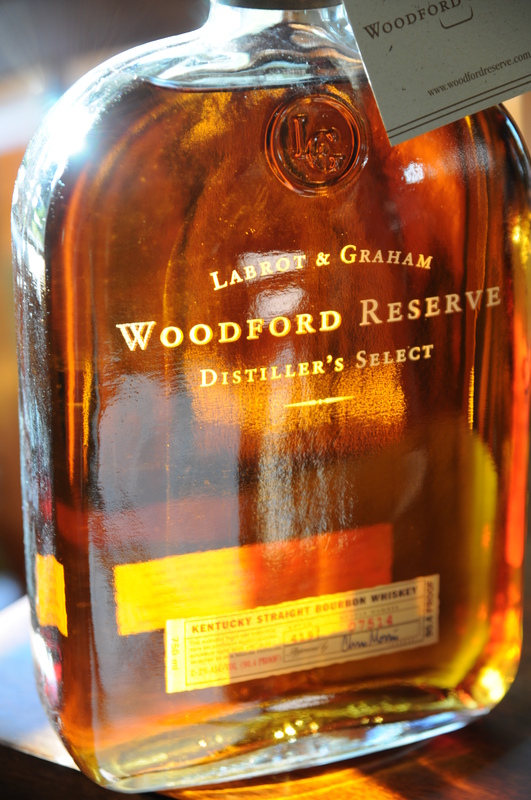 Woodford Reserve has long been a well respected Kentucky Straight Bourbon Whiskey. Woodford Reserve triple distills their whiskey in copper pot stills, rather than the more common double distillation used for flavoring reasons (why do you think vodka is distilled 47 times?) They also have their own cooperage to craft their own barrels, charring them to their specific requirements, yet another unique trait that lends to more control on the part of the producers. Woodford Reserve also ages their whiskey in stone warehouses to better control the temperature swings the casks experience. All this sets them apart, but does it work? It better, this is the official bourbon of the Kentucky Derby. If they don’t know bourbon, I quit. Nose – Butterscotch, caramel, instant floral notes. Vanilla, even a bit of mint. After sitting the butterscotch seems to give way to a faint green banana. Full variety of aromas, complex. Taste – Lovely. Spice (nice), oaky vanilla, toffee. Finish – Oak shows up with a bit of char, perhaps a bit of coffee. Medium to long finish which fades to an enjoyably soft, dry completion. Comment – Great nose, great taste, definitely a good buy that is worth the price. This ranks with some of our favorite (moderately priced) bourbons.